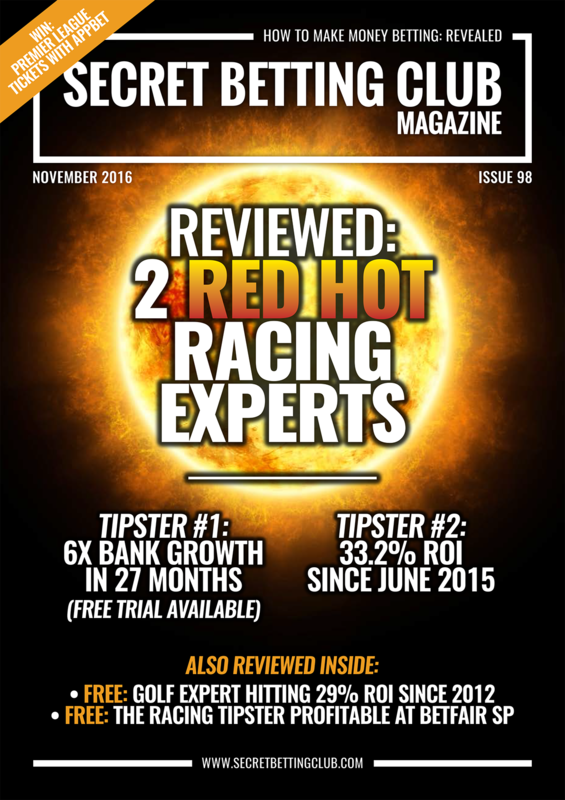 Without a doubt the main headline from the very latest Secret Betting Magazine (Issue 98 – released Tuesday) was the review of the red-hot racing tipster that has made a phenomenal 598% betting bank growth in 27 months. Having racked up 747 points profit at a ROI of 22.6% during this period and with a special offer of 60 days subscription for just £1 (exclusively to SBC), I thought it wise to reveal a little bit more today. Here then is a brief snapshot of what this tipster has achieved since June 2014 and just why they are taking the internet tipping world by storm! As ever, two of the best indicators for the profitability of any tipster is their Return on Investment (ROI) and Return on Capital (ROC). Starting off with ROI, this is a figure which helps to outline how much you need to stake to make a profit betting by following their tips. Here, this tipster thrives with a 22.6% ROI from 2,386 bets since 2014. This also equates to a 747-point profit from 3,306 points staked. It’s not just ROI that helps, but also Return on Capital (ROC, although also known as betting bank growth), which informs you how much money you need to allocate to follow a tipster. As the table below indicates, over the same period and to our advised betting bank, this tipster has made 598.1% ROC or betting bank growth. This 598.1% ROC figure has been generated consistently over the years with 118.2% in 2014(the service started in July of that year), 196.9% in 2015 and 283% so far in 2016. As with every racing tipster we review, we also looked at their performance to Betfair SP (minus 5% commission) to see if there is potential to follow them on the exchange. We discovered that over the 2386 bets advised, you would have made a 259.9-point profit at 7.9% ROI if betting at Betfair SP in this way. Factoring in the likelihood you would pay a lower commission than 5% over time, it is likely you would have easily bettered this sum. Below is the full table of performance comparing advised odds to Betfair SP. 83.2% ROI At Major Festival Meetings! In our review analysis, we also noted their excellent performance betting in the major festival meetings. This was a combination of antepost and normal tips, which whilst only 181 in total, stack up very well indeed with a 195 point profit at 83.2 ROI! Although the data sample isn’t the biggest, it does go to highlight a potential strong area of expertise. 60 Days Tipster Access For Just £1! 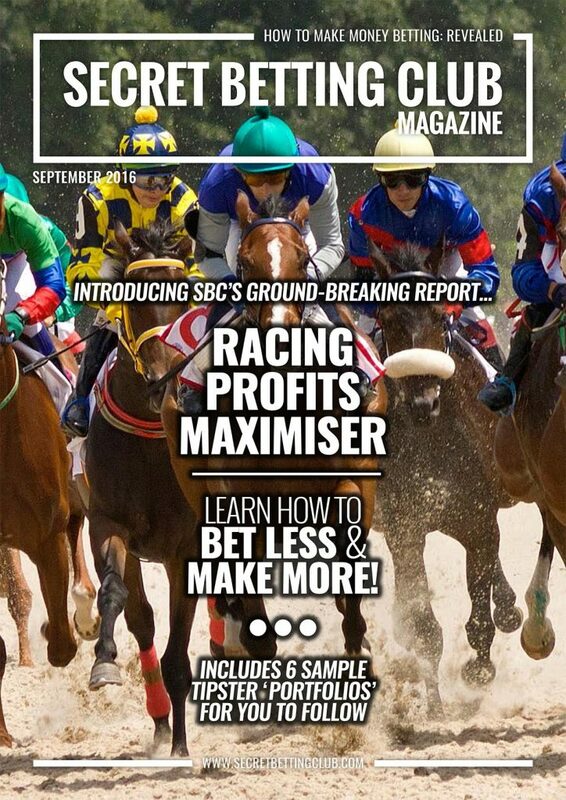 You can read the complete Smart Betting Club 8-page review of this tipster in SBC 98, including details of the free 30-day trial available to all readers. After the 30-day trial expires, you can also then sign-up to follow them for another month for just £1. Effectively allowing you to try out this tipster for 60 days for just a quid! All told, this is a pretty good deal, especially given the outstanding performance witnessed since 2014. Sign-up to the Smart Betting Club now and download SBC 98 immediately! P.s. 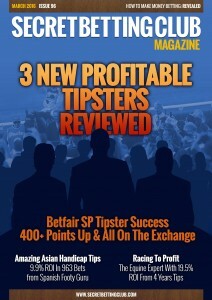 In SBC 98, you can also read our reviews on 3 other profitable tipsters – including 2 available to follow absolutely FREE! Read the full rundown on SBC 98. 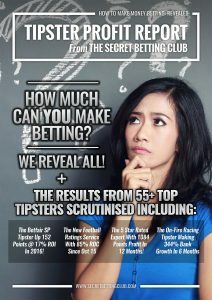 The very latest Smart Betting Club Magazine (Issue 98) is out now – featuring an expert look at 4 hot new tipsters examined for the first time by the SBC review team. 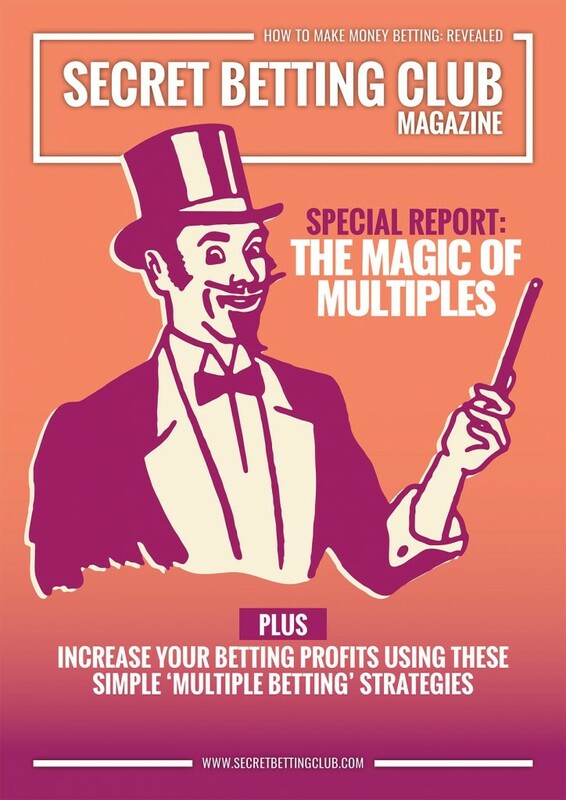 With 2 red-hot racing tipsters reviewed (including one offering an exclusive month-long free trial) plus 2 free golf and racing tipsters that have been banging in the profits, it’s a must-read magazine! 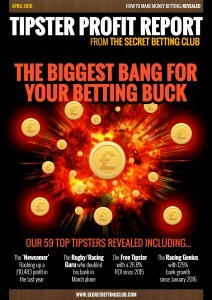 • Tipster #1 has made 6X Betting Bank growth in just 27 months! • The FREE Golf betting guru hitting a 29% ROI over the past 5 years! 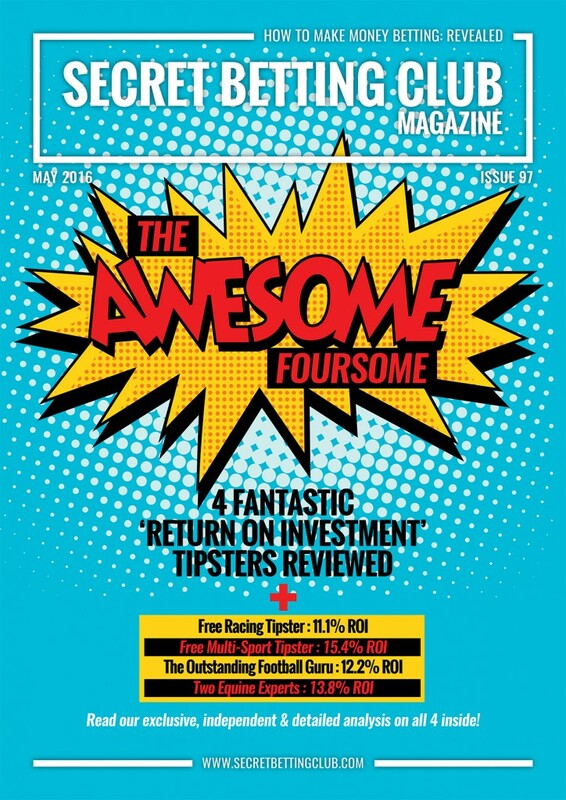 Alongside instant access to Issue 98, as a Gold or Platinum Smart Betting Club subscriber, you can also enjoy our 10+ year back catalogue of expert tipster reviews, interviews and strategies. This includes every single tipster review we have ever written (there are literally hundreds available!) 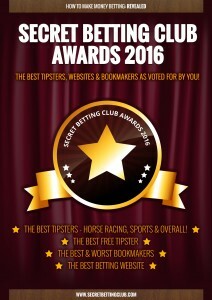 including all of the Hall of Fame Tipster we recommend to make you money betting. Twas The Night Before Racing & The Odds Weren’t Available! It’s something that has dogged the likes of Hugh Taylor and his ilk for many a year as whilst his expertise in beating the bookie is never in doubt, the ability to obtain the odds he quotes certainly is! Yet for some tipsters this issue is getting worse: Those tipsters that put up bets the night before racing. To help explain the current issue with taking early odds, it’s worth a quick down memory lane to understand how betting on racing historically worked. Back in the good old days, most bookmakers employed large teams of racing traders who would price up each race meeting and manage a traditional racing book. As bets flowed in and out, the odds for each horse would change as each bookie managed their liability and tried to eke an overall profit. Occasionally, some bookmakers would find themselves getting filled in and taking a hit if getting it wrong, yet their in-built over-round always ensured that long-term, they would make a profit. Nowadays, large-scale racing trading teams are a thing of the past, with most bookmakers forming their odds based on the Betfair market or by simply copying each other. The art of building a racing book has been lost with only a few exceptions (Black Type Bet for example who don’t price up the races until 8.30am the day of racing). Ultimately though, most of the skill has gone out of creating and maintaining a racing book and this in turn has impacted how we as punters get on. This sea change in the world of racing bookmaking has had a major knock-on effect for those punters keen to bet early. For most races, you can expect to see the first available odds start appearing around 4 to 5pm the afternoon before it starts. As the evening wears on, a few other bookies will start to quote odds until there are a handful of bookmakers pricing up each horse in a race. Often these prices are based on the limited amount of trading so far on Betfair – not much money at all or some rudimental tissue prices the bookie is working to. As these early prices are not based upon the expertise or skill of a racing trader, the bookmakers know they are vulnerable to shrewd punters who might know more than them and snap up the value odds on any overpriced horses. Bookmakers are therefore extremely twitchy about even moderate sums of money coming in for a horse at such a time of day. If they see support coming in for a horse on the exchanges, this is another sure-fire warning signal that they might have the price wrong. So what do they do in this instance? Simple – they slash the odds available and it’s not rare to see big movements in odds, especially for the larger priced fancied horses, where the bookies potential liabilities are that much higher. The general logic is that the earlier a tipster puts up a tip, the greater chance its odds will move downwards. Yet despite these clear issues with early tips – some unscrupulous tipsters continue to willfully take advantage of them and claim ‘fictional odds’ for their advised bets. Not long ago, I was approached by a tipster (who will remain unnamed) with on the face of it a tremendous record of results, roughly 35% ROI, all of which was loosely ‘proofed’ on a third-party website. He was keen to start proofing to the Smart Betting Club, which he duly did. After approximately 6 months he got in touch keen to ask as to when we might be reviewing him. Apparently, he was struggling to keep hold of customers and needed to bring some more on board. Stepping around the obvious caveat that we only review a tipster when we have enough data and proofing to hand (over 12+ months as the usual minimum) and the fact no-one gets a positive review unless it is merited, it was clear to me why he was struggling to retain customers. He was quoting tips using ‘fictional odds’ the evening before racing – something that internally, my team and I had flagged as a major warning sign. We would regularly see a 16/1 tip put up that in no time at all was 12/1 or an 8/1 tip that got smashed into 9/2….You get the point! So, whilst he could attract customers initially, there was no chance he could keep them because it would quickly become apparent to any subscribers he wasn’t playing fair. I put it to him that rather than quote a 35% ‘fictional’ ROI, he would be better served tipping up at 8.30am the day of racing and seeing how his tips fared at that point. He might only make 10% ROI but at least it would be achievable. Maybe he wouldn’t lose his customers so quickly! He disagreed, preferring instead to sit on his unrealistic record and to tip as early as possible. He promptly withdrew his proofing and was never reviewed by us. We perform this as standard for every major racing tipster we review and whilst it is hard-work and time-consuming, it is hugely valuable. Only the very best and fairest tipsters go onto be reviewed by us and can work towards a Hall of Fame recommendation. The good news is that there are currently 23 tipsters within the Hall of Fame, all of whom have been assessed as offering punters a fair shot at obtaining the quoted odds put forward. You can discover more about them (and read our detailed reviews on each) with a Smart Betting Club membership. Through my regular posts over the past few months, I have highlighted several tipsters featured in the latest Smart Betting Club Reports & Magazines that have really made me sit up and take note. In today’s post, I want to focus in further on just 2 of these experts – one dedicated to racing tips and the other football, who since their SBC reviews earlier this year have continued to make some significant profits. 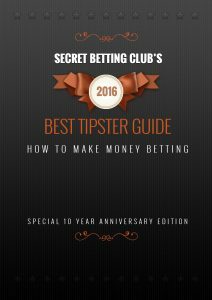 In May 2016’s Smart Betting Club Magazine, my team and I reviewed an excellent FREE Racing tipster service that had really impressed us over a 3 year period of proofing. I first mentioned this tipster in this article back in May, which outlined how between 2013 and April 2016, they made 140.6 points profit at 11.1% ROI from their free advice. Well the good news is that this strong form has continued with a further 96 bets since then contributing an extra 34.4 points profit at 22.48% ROI, including a 12/1 winner on Saturday. Here is the updated results table for this tipster.. Averaging a tip every other day, the long-term stats for this service stack up very well with 175 points profit at 12.3% ROI from 742 bets. With all tips supplied after midday at achievable and obtainable odds and all via a free email list, it’s certainly worth signing up for. More details on this tipster, including my team’s full independent review can be found in SBC Magazine #97 from May 2016. 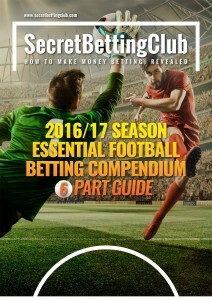 Ahead of the new football season in August 2016, my team and I also reviewed a fascinating new football tipster that really impressed during the previous 12 months. It was featured in Part 5 of our 2016/17 Essential Football Compendium. During the 2015/16 season, this tipster’s simple ‘loophole’ method made a profit of £2302 from just £3006 staked by utilising a series of bookie specials, small stake accas and shrewd low-risk bets. The good news is that already this season, their advice has made a further £388.05 profit from just £1184 staked to add yet more to their betting bank. It’s fair to say this is no ordinary tipster service, as it does mix up occasional offers with shrewd accumulator bets, where they really thrive. By picking the right bets for an acca and taking advantage of the many bookies who offer ‘acca insurance’ (whereby you are covered if just 1 game lets you down) they have made significant profits. Upon examining 94 four-fold+ accas that were advised last season, 28 had won, 31 lost and a further 35 were ‘pushes’ which ensured a free bet refund (the acca insurance). If factoring a small loss from the free bet refunds, I estimated a profit in excess of 65% ROI from the accas alone. This profitable acca trend has continued this season and shows no signs of abating anytime soon! Once again, more details on this tipster, including my team’s full independent review can be found in Part 5 of the Essential Football Compendium. Available for download instantly with a Smart Betting Club membership. You can read more about both the 2 tipsters featured in this email and many more other genuinely profitable experts with a Smart Betting Club membership. Over the past decade, we have reviewed hundreds and proofed thousands of tipster services – with the very best and most profitable tipsters listed in our Hall of Fame. 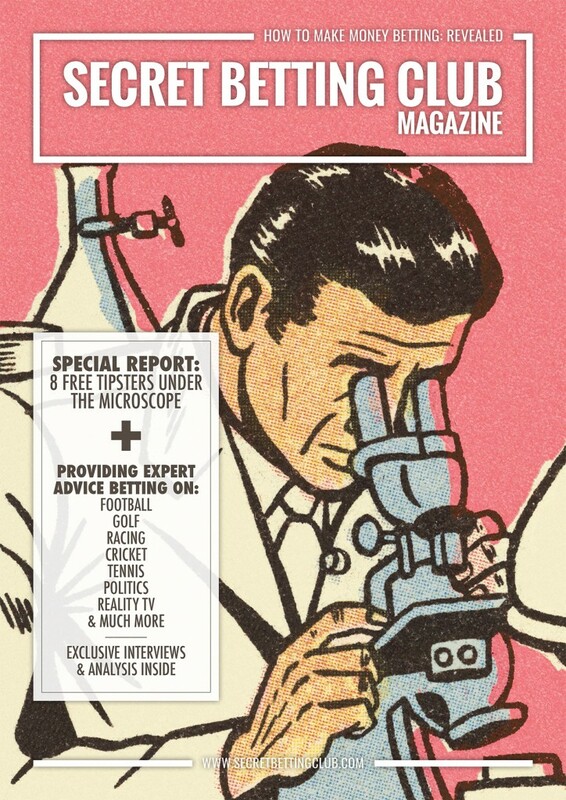 We also constantly track and monitor these very best tipsters and feedback to you as a member on their ongoing progress with tipster league tables, ratings, charts and analysis in our ‘Tipster Profit Reports’ (the very latest report was released just a few weeks back – read ‘How Much Can You Make Betting? for more info). So why not try a Smart Betting Club membership today and see how we can help you and your betting! Sign-up today and gain instant access to the Smart Betting Club. Bookmakers were in the news again this week for all the wrong reasons as The Times Newspaper ran two articles raising accusations of intrusive surveillance and the breaking of data protection legislation. For those of you with a Times subscription, you can read the articles here and here. Whilst these stories wouldn’t have been news to many of you (after all, I have been banging on about these issues for some time via the Better Betting Campaign), it is encouraging to see the national media expose this issue for once. The growing issue of bookmaker profiling also feeds into why so many punters are now using VPN’s (Virtual Private Networks) to help protect their identity, especially those suffering from account closures or stake restrictions. But what are VPN’s, how can they help your betting, how much do they cost and how can you go about getting started with them? Well as luck would have it, the Smart Betting Club just published an updated VPN for Betting Guide, which helps to answer many of these questions and more. A Virtual Private Network (VPN) is an incredibly powerful but simple to use piece of software that can be installed on most computers and mobile phones. The use of a VPN effectively allows you to use a different IP address to the one you have at home or via your mobile device. It is your ‘normal’ IP address that the bookmakers use to help build up their profile of you. Think of an IP address as a sort of unique identifier to who you are and where you are located. By changing your IP address thorough using a VPN, you are that much harder to track and profile. Why do you need a VPN when betting? A VPN is an essential tool to help protect your location from bookmakers, especially if you are looking to use a new set of bookmaker accounts for betting purposes. The classic example is whereby you have seen existing bookmaker accounts closed for winning too much money and you want to use a new or different account. If you were to simply access that new account using the same IP address (effectively the same internet ‘address’ or connection) most bookmakers will quickly link the old and new account and it would be shut down very quickly indeed. Therefore, one quick and easy way to work around such unfair restrictions and limitations is to always access this new account via a VPN, which ensures your IP address is completely different. The logic here is that there is no IP address link between the new and old accounts. How easy is it to use a VPN and how much do they cost? These days it is extremely simple to install and use a VPN. So simple in fact, that you could be using one within a few minutes of reading this article. The cost of VPN’s has also dropped significantly in line with their increasing usage. For example, the VPN I currently recommend to SBC members costs just $6.95 per month or $39.95 per year. But is a VPN enough to ‘cover your tracks’? Surely, given the depths of bookmaker profiling you need to do more? Although a VPN is an important weapon in your betting armoury, given the depth of profiling currently undertaken by bookmakers, there are a few other things to be aware of. Bookmakers track a lot more than just IP addresses nowadays and whilst its vitally important to use a VPN, it is not all you need to do. If wishing to use ‘new accounts’, you also need to make sure there are no other links or clues to previously held bookmaker accounts. This might mean using a new computer/phone or through a simple re-installation of your PC. One simple technique many punters employ is to use their phone for one set of accounts and computer or tablet for a second set. There is also plenty more in detail explanation on other tactics you need to employ in our VPN Betting Guide (details about next). You may also wish to follow the instructions provided by Justice 4 Punters in our free ‘Getting On’ Report on how to remove some of the current ‘hidden’ bookmaker tracking software being used these days. Hopefully this article has helped to explain a little bit more on VPN’s and why so many punters are opting to use them when betting. If interested in understanding this issue in more depth, make sure you pick up a copy of the Smart Betting Club’s ‘VPN for Betting Guide’, which was re-released last month. Inside this guide, you can read more on VPN’s from our resident betting tech expert, including a comparison of the best VPN’s for you to use from a punting perspective and my own personal recommendation. It’s available to download the instant you join the Smart Betting Club. Sign-up for a Smart Betting Club Membership Now! Back in February this year, I asked Smart Betting Club (SBC) members just how many of them actually made money betting. The results were fascinating with 85.1% of all taking the survey informing us that they made a profit from their betting in 2015. What’s more, 46.3% of those surveyed made more than £5,000 profit and a further 28.7% netted well over £10,000 profit in 2015 alone. For those of you who don’t believe me, you can read the full rundown of the survey here. Why Are Smart Betting Club Members So Successful? What is it then that makes Smart Betting Club members so successful, when traditionally around just 1.5% to 2% of the punting public make a profit betting? Expert Information: As an SBC member, you gain instant access to the latest information on winning tipsters and profitable strategies. Including in-depth reviews of the best tipsters as uncovered by the SBC team PLUS regular updates on the performance of those expert tipsters already recommended. Education: SBC membership also provide advice, guidance and expertise on what it takes to be a successful punter. Including everything from regular interviews with professional punters, expert advice on how to avoid bookmaker restrictions or special reports like the Racing Profit Maximiser. Inspiration & Experience: The SBC team’s own experience making money betting ensures we are uniquely qualified to help you achieve this goal. You are guided every step of the way in your betting journey with direct email access to the SBC Team, the 100 page ‘Pro Punter Blueprint’ welcome pack and real-life betting blogs outlining the tipsters the team follow and how much they are making. 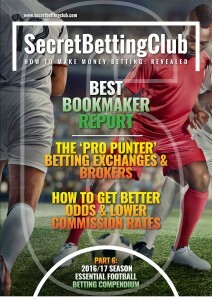 It is this unique combination of expert information, education, and inspiration that gives SBC members a clear edge over other punters and most crucially of all, the bookies! Of course, the best way to judge these claims is to try the Smart Betting Club service for yourself. Because if you join the Smart Betting Club and feel that the expertise provided can’t help you make money betting, you can claim a full refund of your membership fee within the first 90 days. This risk-free guarantee is offered because I am that confident that SBC can help you make money betting, and that once you do join, you will see this for yourself. There is no catch or small print to worry about either. If you join and for any reason don’t like what is on offer within the first 90 days of your subscription, then simply let me know and I will send your membership fee back in full. So why not sign-up today and discover how SBC can make you one of the few making a success from your betting. Sign-up now for a Smart Betting Club membership. P.s. The instant you join, you will gain full access to the entire SBC membership package of your choosing – enabling you to get started immediately!